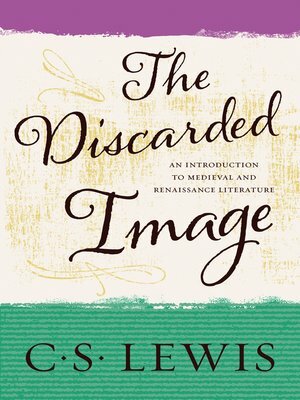 In The Discarded Image, C.S. Lewis paints a lucid picture of the medieval world view, providing the historical and cultural background to the literature of the Middle Ages and Renaissance. It describes the "image" discarded by later years as "the medieval synthesis itself, the whole organization of their theology, science and history into a single, complex, harmonious mental model of the universe." This, Lewis's last book, has been hailed as "the final memorial to the work of a great scholar and teacher and a wise and noble mind."